Smart Controls offers a wide range of services from basic alarm installations to complete end to end surveillance solutions. We pride ourselves on our ability to leverage the latest technology to provide both comprehensive and cost effective solutions. With many years experience in the technology field and being completely independent of hardware vendors, Smart Controls always provides the right hardware to suit the application and customers requirements. Using technology developed by Cyclops Monitoring, Smart Controls offers the ability to monitor traditional surveillance cameras in real-time. Based on detected motion, still images are transmitted from the camera to a central monitoring centre who review the images and dispatch appropriate response. This service is compatible with a wide range of cameras and devices. For a small monthly fee Cyclops can transform a traditional security camera into a real-time monitored device. Smart Controls has been involved in many remote camera installations involving both cellular and solar power. 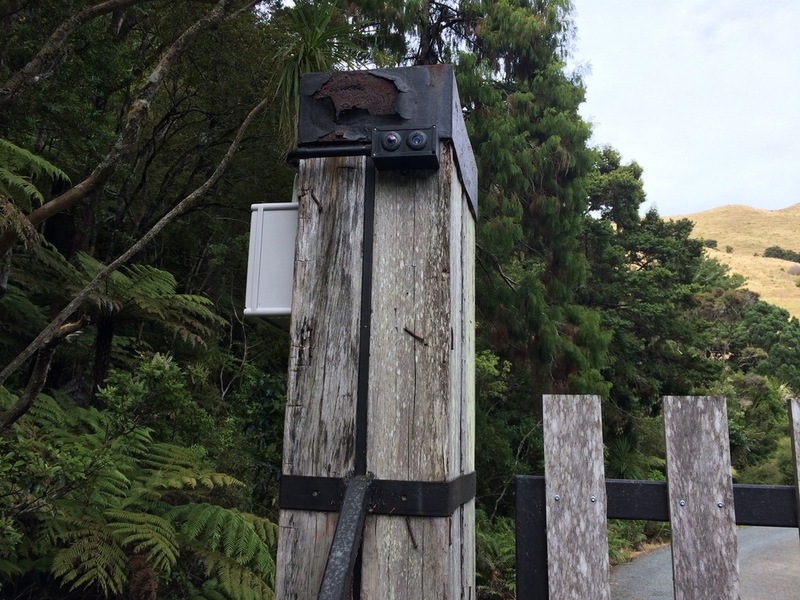 Using low powered cameras much as Mobotix, complete off-the-grid solutions can be provided for monitoring, security, health and safety, or time-lapse. Involving minimal maintenance, installations can be left unattended for months while still providing a high level of uptime. For short-term temporary deployments, Smart Controls offers clients the ability to rent equipment. This is ideal for the construction industry where site security may only be necessary during the actual construction process. Equipment can then be redeployed to a different site, or returned. Smart Controls are proud supporters of ModiCam, a rapidly deployable surveillance camera system. 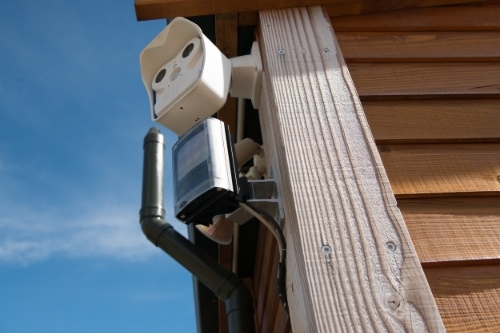 ModiCam can be mains powered, or utilise alternate power sources such as solar or wind. Installation takes just minutes and Internet connectivity is instant. ModiCam 2000 comes with an integrated 400Wh LiFEP04 battery with an option to add external LiFEP04 or Lead-acid Batteries. Power management prioritises battery usage to extend the operation of the camera. Administrators are notiﬁed via SMS, email, and/ or web messaging when battery events occur such as low capacity, loss of mains power, or switching from using an external battery to the internal reserve battery. The ModiCam’s portable IP67 extruded alloy body and marine grade stainless steel mounting bracket form a rugged mobile system ideal for harsh outdoor environments and easy permanent or semi-permanent installation. The ModiCam’s Fixing Kit allows for secure rapid deployment in various locations with minimal setup cost. The ModiCam 2000 is a model designed for use with a single front facing IP camera. This is the lowest power model in the ModiCam range. Two cameras in one: Thermal sensor plus 6MP sensor module can be displayed simultaneously in the dual image. The thermal sensor is capable of detecting even in complete darkness and/or through smoke, smog, or a thin plastic screen (limited during thick fog). Thermal images for detection are an ideal addition to systems with standard image sensors (for identification). The combination with the MxActivitySensor in particular delivers extremely reliable video analysis results of person/vehicle movements, as it is now possible to block out disruptive factors such as regular movements of "cold" objects such as bushes, grass, water, clouds, waves, etc. Thermal technology coverage is largely independent of distance. Thermal sensor with three different focal lengths available (image angle of 17°, 25° and 45°). With years experience providing home alarm systems, 24/7 alarm monitoring with rapid response, Smart Controls has all the tools to keep your home and family safe. Whether it's a small retail shop or a large department store, Smart Controls can meet the needs of all retail related security. Integrating surveillance cameras and point of sale, the security system acts as a deterrent for opportunistic employees and shoplifters. Alan settled in New Zealand after moving with his wife and family from England in 2004, making Auckland his home. Alan has over 30 years experience with an electrical and electronic background, he is also a Registered Electrician. Alan started Smart Controls over 10 years ago, Smart Controls deals with all kinds of electrical work but specialises in Access Control, CCTV, Intercoms and particularly Rapid Deployable camera systems for site security.